I’ve had these notes kicking about in my note book for about two years and recently a friend gave me a mini a gift and I tried and tasted this and the notes were pretty much identical so I thought I would write something up. As you might know I have already reviewed the fantastic Naked Grouse and the Black Grouse/Smoky Black Grouse and I’ll try and get some Snow Grouse and Mellow Gold before I open one or two of the more obscure members of the Grouse stable and I might even bother getting hold of the Glenturret too but I wouldn’t hold your breath. 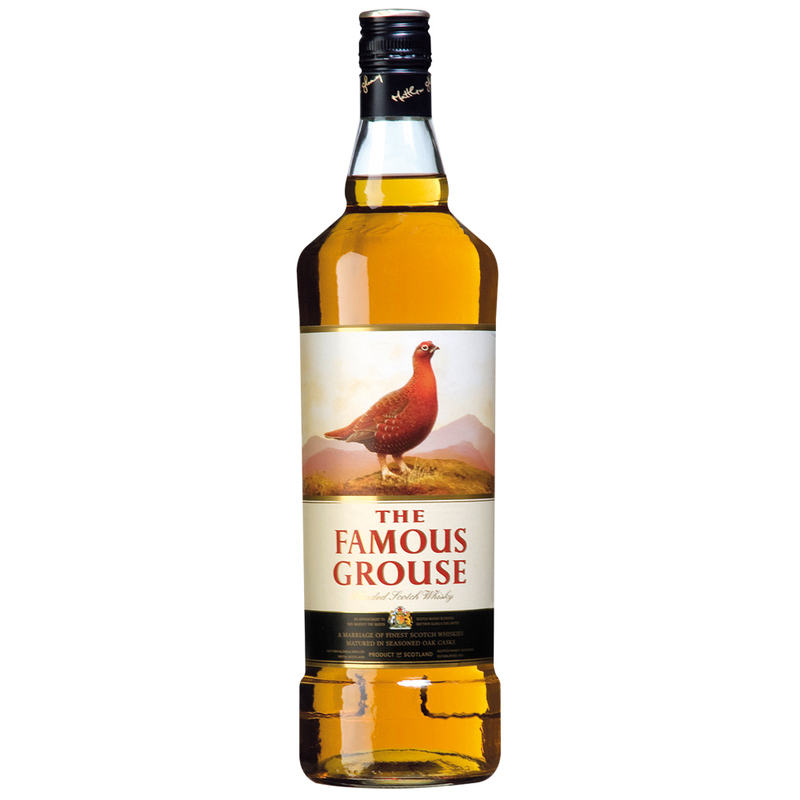 The Famous Grouse is the highest selling whisky in Scotland, it sells by the millions and you can get minis, half bottles, normal sized bottles and litre bottles, in fact you can buy those massive bottles you see upside down in pubs if you’re that keen. I would never pay more than fifteen pounds a bottle for this. It’s bottled at 40% there is some e150 caramel and it’s made up from Highland Park, Glenturret and Macallan, loads of grain and maybe some other stuff too. I took this with a touch of water but it’s easy drinking neat and would take a bit of ice well enough if you’re that way inclined. Nose. Sherry and biscuit notes at first, charred barrel, white pepper, young spirit, little touch of smoke, more caramel and vanilla with water. Palate. Biscuits again, sweetness too, brown sugar and sweet sherry, a little bit too sweet and the grain is obvious too, rather than marrying well with the malts the grain stands out. There is no pepper now and a touch of chilli but very faint and water kills that dead. Finish. A sort of bitter sweetness with the grain coming through. I’ve had bottles of this from years back and I’m going to try and buy an old bottle from the 60s and see how it differs but this okay, it’s cheap and not offensive but personally I would rather get the Smoky Grouse or tip a drop of Highland Park into this to pep it up a bit, I can certainly see though why it shifts by the bucket load. Previous Count them with me, 1, 2, 3, 4, 5, 6, yes SIX, Six Isles whisky review.